Kercem, or more precisely ta’ Kercem, is the village closest to Rabat and its name is most probably derived from that of a family living in the area in the fifteenth century. Kercem was once very well-known for a traditional procession that every 12 March, feast of Pope St Gregory the Great, used to wend its way from the Cathedral to an old church of Saint Gregory and, later on, to the parish church of the village. Gozitan bridegrooms used to promise their brides before marriage that they would take them to this procession every year. The Rabat–Ta’ Kercem road passes through the upper part of Lunzjata Valley. At the point where the road forks on the left to the valley, there is Ghar Gerduf, the site of a third/fourth century Christian catacombs. Once, some four chapels were clustered together in this spot. Some excavations in the vicinity revealed that there might have been an establishment of Roman baths. 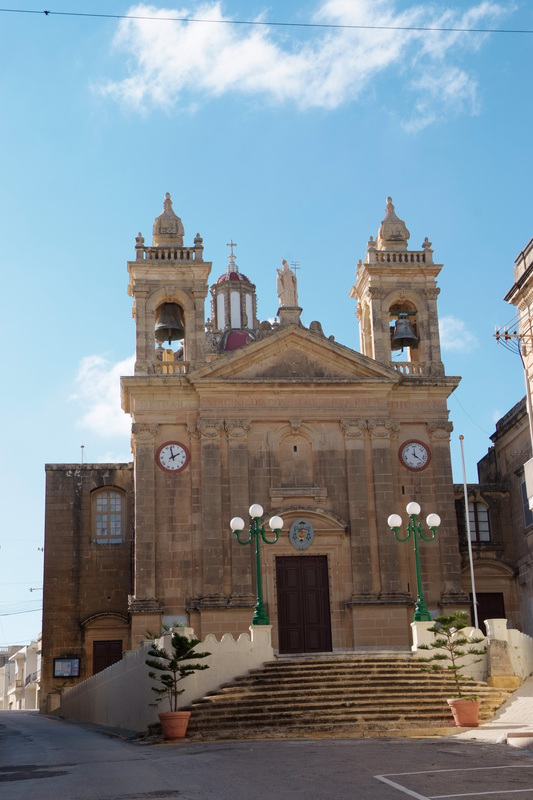 The road parallel to the church leads to the village of the very old hamlet of Santa Lucija, that has its own church. The village church was built between 1846 and 1851. It foundation stone was laid at the end of the procession on the feast of Saint Gregory on 12 march 1846. It was consecrated on 22 October 1912. The village was established a parish church during the bishopric of Bishop Pietro Pace on 10 March 1885.